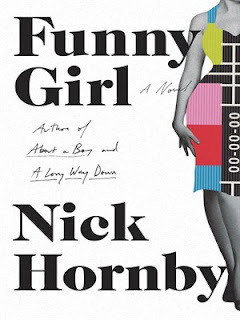 Funny Girl is the latest novel from Nick Hornby, released originally in 2014. 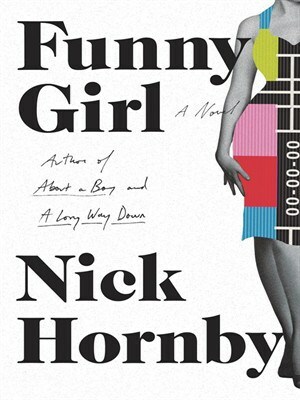 It pains me to say, but I had to put a Nick Hornby book down before I finished it. I know. Tragic. I only read a third of the book, so it’s only fair to write a third of a review. Funny Girl takes place in the mid-60s and follows Barbara, a young girl from Blackpool, England. She is apparently a babe, having won the local beauty contest. However, she resigns from being the beauty queen (champion?) as it would mean staying in Blackpool for another year, shaking hands and kissing babies. No, she has bigger dreams of becoming a TV star, like her idol Lucille Ball. Her first step is to move to London where she lands a job at a department store. It’s here where she schmoozes and networks with married men who take her on dates and who are also intertwined with the entertainment industry. It’s not long before she lands auditions and in one case, she scores the lead in a new BBC comedy series. The show picks up acclaim for pushing the envelope (for its time) despite mild disapproval from the BBC. I wish I could tell you more, but I stopped shortly afterwards. I was disappointed. I really didn’t want to put it down, but I had to. I was hoping I would be hooked or gripped by something by the time I reached a third of the way, but it never came. Neither the plot nor the characters were interesting. Part of me felt like Hornby wrote this book to reflect some of the things he witnessed now that he’s working more directly in Hollywood, producing scripts. And that concludes the third of the review. Later geeks!